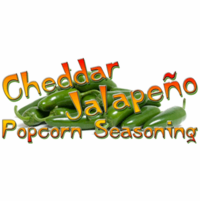 We've blended cheddar cheese powder and spicy jalapeno pepper to make a savory and spicy powdered flavoring perfect for sprinkling onto popcorn, French fries, chicken tenders, popcorn shrimp, roasted potatoes, and more! The addition of green pepper powder makes the green chili flavor more pronounced without adding too much heat. Cumin, onion, and garlic powders create a more complex flavor. Ingredients: cheese powder [a dehydrated blend of whey, buttermilk solids, cheeses (granular and cheddar [pasteurized milk, cheese culture, salt, enzymes]), whey protein concentrate, salt, sodium phosphate, citric acid, yellow 5, yellow 6, lactic acid, enzyme], peppers (green bell and jalapeno), buttery salt (salt, artificial flavor, yellow #5 & #6), onion, garlic, spices. Contains milk. May contain soy. Packaged in a facility that also packages wheat, milk, soy, egg, peanuts, and tree nuts.